This type of interaction is not being used enough when dealing with a person living with dementia, many people may not understand what this means, or how is it going to help with care. 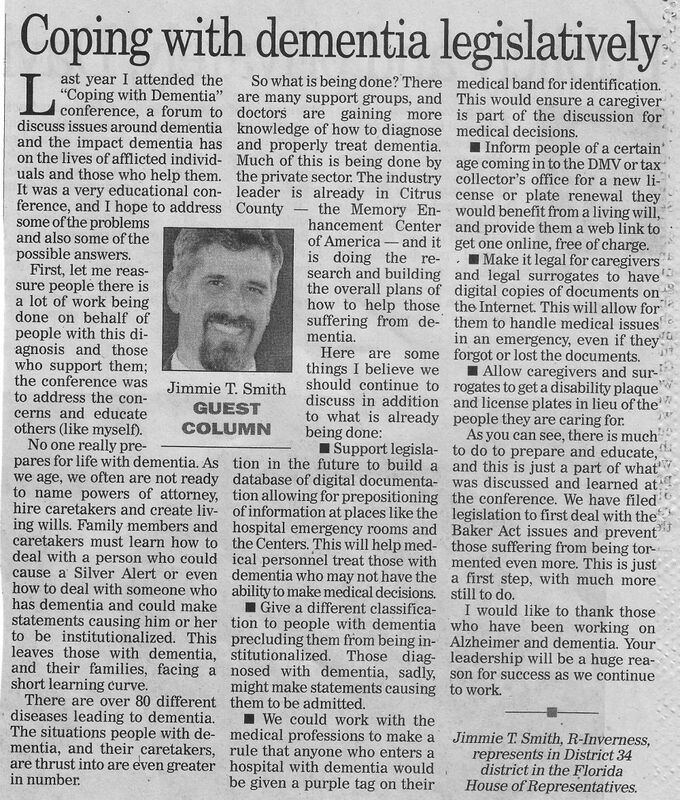 If you have attended one of my workshops or speaking engagements you may have heard me talking about “Validation Therapy” when dealing with a person living with Alzheimer’s and dementia. I do get some strange looks, some people believe that they are lying to their person, that they are not telling them the truth, this is not true. When we learn this technique we can restore confidence, dignity and we will also gain some empathy for this person, but most of all we will be taking the time to listen to them, this will tell us where they are and in what time frame they are referring to. Validation will also help you in when redirection is needed especially in the later afternoon when “sundowning” may be an issue for your loved one. Example-You may go visit your mom to take her out for an ice cream. Mom may be feeling anxious and replies that she cannot go out that she has to wait for her mom to come home, she will have chores for me to do before dinner. Now we all know that her mom has passed away many years ago. We have to realize at this point that we do not try to bring her into our reality, we also do not want to tell her that her mom is dead, you will learn very quickly that will not be the right response for many reasons, this is where some folks say they cannot lie. We may reply with a statement by saying “your mom is one great lady, can you tell me something about her”. Then this becomes a time of reminiscing, you can lower their anxiety and distress and at the same time you have redirected her to another place, a place and time that may bring back good memories, good stories. You will find many benefits to learning and using this technique as a caregiver, you person will stay on an even keel, will not have the highs and the lows that cause other issues, they will be easier to manage. A person living with memory issues wants to feel normal, wants to fit in, they do not want to be corrected to be made to look stupid or out of place in front of anyone. Most times they are the ones that do not think there is anything wrong with them, so with that said this can become the clash of realities between you and them and I can assure you there will be no winner in this battle, you will both lose, this type of behavior will be far more detrimental to your loved than to you. You have rational thinking skills that they do not. We must remember that you will run into all kinds of road blocks if you continue to try and bring your person into your reality, you may experience behavior issues and most of all they will not trust you. By saying “tell me about” you are not acknowledging that they are right or wrong you just get them to talk about the person they are referring to, this is a very different approach for most caregivers. We have to be detectives when we are caregivers, how do we do that, we listen, we observe what works and what does not work. We have to allow the person living with dementia to be our teacher, allow them to educate us and as long as we listen we will learn some much. There was a person in my care that was pacing back and forth in the hallway mumbling, I could barely hear him but asked what was going on, he replied in a low voice never stopped his pacing “got to plant the corn, got to plant the corn”. I knew from his history that he was a farmer and owned a farm and that is all he did in his life work. I replied “I did not realize it is that time of year, I have the supplies in the shed I will go get them so that we can get started”. I asked for acknowledgement, got it and off I went. By the time I walked the building and came back to him he had calmed down and was sitting down having a snack. The reason that this type of interaction, validation is so important is that when a person gets upset, anxious starts pacing, mumbling they cannot stop easily you will not be able to get them to eat, drink or sleep depending on the time of day. They are so focused that they only think of that one thing they become obsessive, compulsive and will not let go and will be very determined to accomplish whatever it is. This is not a good place for either of you to be in. This therapy was developed in the 1960s and 1970s, the Validation Method is a holistic therapy for treating Alzheimer’s disease. It focuses on empathy and provides a means for Alzheimer’s patients to communicate. It’s creator, Naomi Feil, offers workshops that teach invaluable techniques for connecting with senior patients, enhancing their dignity and bringing them peace. So in conclusion allow your person to be the teacher, learn to be understanding, compassionate and you will be empathetic about your loved one. So next interaction you will have nothing to lose when trying this technique of Validation Therapy and see what happens. You may be pleasantly rewarded in many ways that you did not even expect. Debbie Selsavage is a Positive Approach to Care (PAC) Independent certified trainer,a Certified Dementia Practitioner, and President of the Board – Alzheimer’s Family Organization. Her company, Coping with Dementia LLC, is dedicated to making life better for individuals and their caregivers who are living with dementia.